For print-resolution still images of the icebergs contact the media officer listed above. 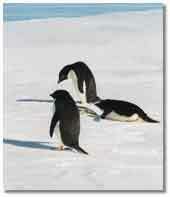 Adelie penguins on the ice of McMurdo Sound. An abandoned penguin colony at Marble Point in McMurdo Sound. 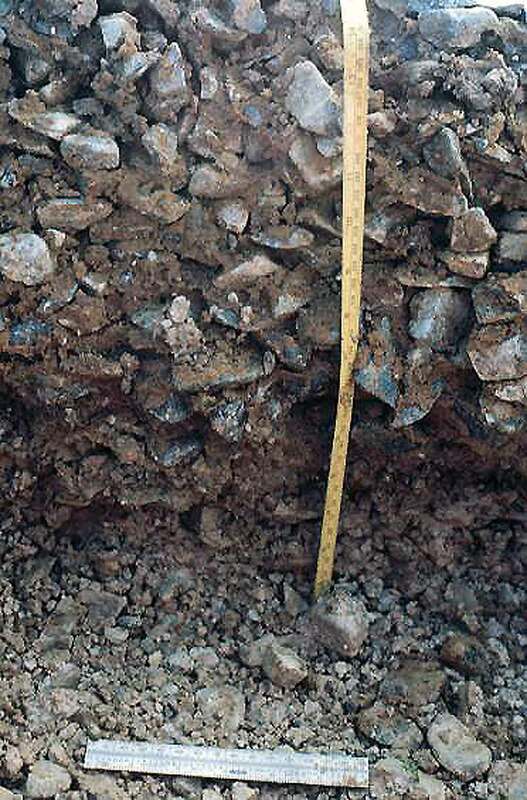 An excavation of an abandoned colony revealing layers of nest pebbles and sediment. ARLINGTON, Va.—A previously unnoticed cooling trend that persisted for a millennium caused enough ice to build up in Antarctica's Ross Sea that thousands of Adelie penguins abandoned their colonies beginning about 2,000 years ago, according to newly published research. 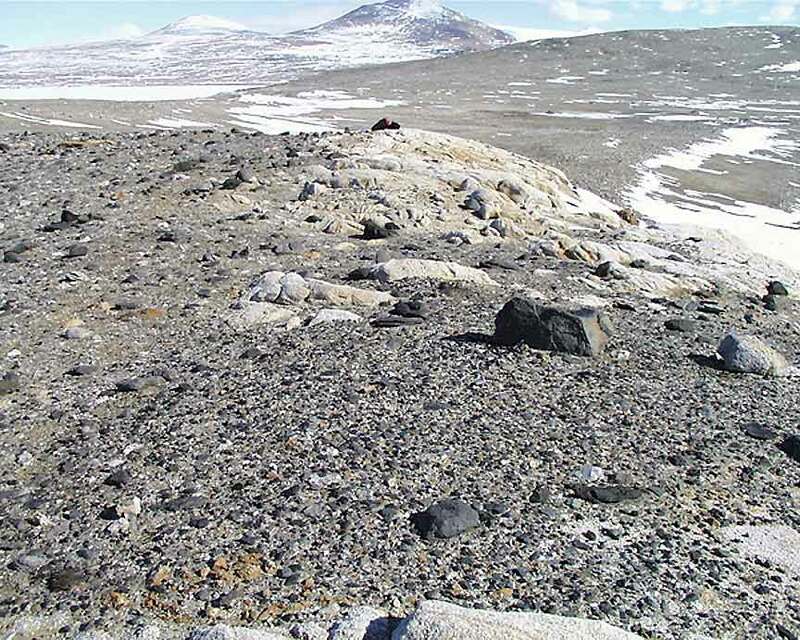 Using radiocarbon analyses of abandoned colonies on the Victoria Land coast of the Ross Sea, scientists believe that modern, ice-free conditions developed in the region only within roughly the past 1,000 years and that the present Adelie colonies on Ross Island, which are among the most numerous in the world, are likely no more than 500 years old. Those techniques, they say, can also help to refine our understanding of climatic change on the southernmost continent. "We think the birds left the colonies when the southern Ross Sea was completely iced over in a cooling trend that very likely covered that region for probably a thousand years," said Steven D. Emslie, of the University of North Carolina at Wilmington. "That's never been known before from other climate records." Scientists typically use chemical signatures in marine sediments, ice cores and other natural records to piece together a picture of what the Antarctic climate looked like thousands and even millions of years ago. 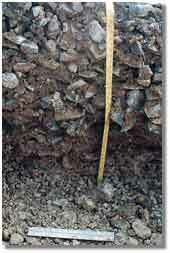 But those records do not provide a highly defined or detailed picture of climate over shorter geological time scales. "The evidence from these colonies can help refine those other records," said Emslie. "They are adding a higher resolution to the climatic record in Antarctica." The National Science Foundation (NSF) funded Emslie's work, which was published recently in the journal Marine Ecology Progress Series. NSF is an independent federal agency that supports fundamental research and education across all fields of science and engineering, with an annual budget of nearly $5 billion. 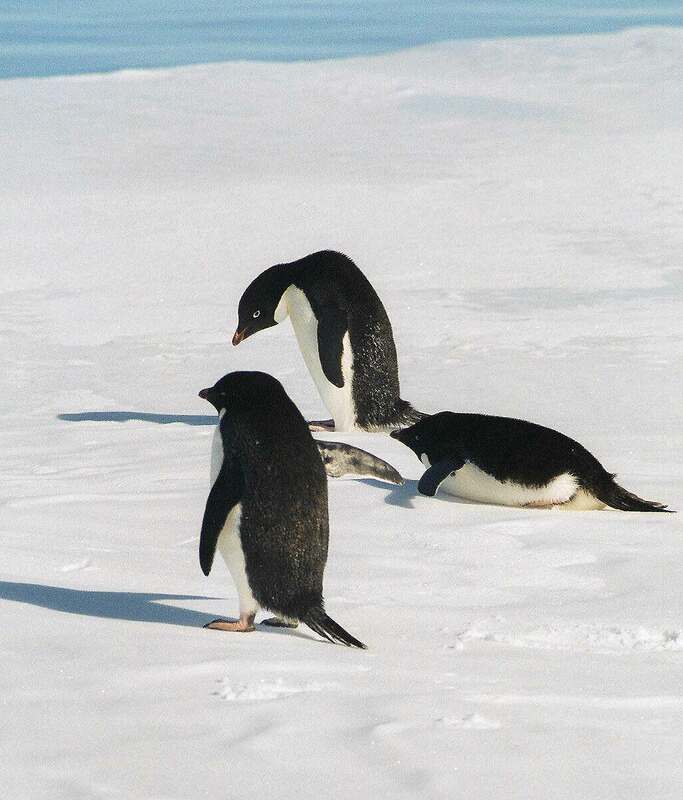 Emslie said the evidence points to four conditions that suggests penguins once nested in an area: the terrain was ice-free; there was open water close to the colony that allowed them to expend less energy to reach their food by swimming, rather than walking; a food source was close enough so that the birds were able to go out and forage to feed their chicks; and there were pebbles on a beach that the birds could use to make their nests. If those conditions—especially the first three—change sufficiently, then the birds will abandon a colony and establish themselves elsewhere. Emslie said data collected by his team allow him to make a strong case that Adelies abandoned the entire southern Ross Sea for almost 1,000 years, from roughly 2000 to 1000 years ago. 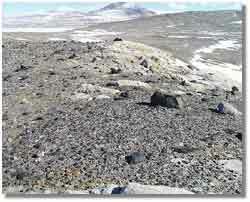 The analysis also indicates that the large Adelie penguin colonies that now exist on Ross Island in McMurdo Sound likely were established only 500 to 600 years ago. Emslie also noted that a "natural experiment" seems to be underway in Antarctica today that confirms the idea that Adelie populations can rapidly adapt to changing conditions. But it also helps illuminate the difficulties in interpreting the climate record. Iceberg B-15A, an enormous piece of ice that broke away from the Ross Ice Shelf in March of 2000, has caused much more ice than usual to accumulate for a number of years in eastern McMurdo Sound, essentially cutting off large Adelie colonies at Cape Royds, Cape Crozier, and Cape Bird. Another enormous berg, called C-16 has exacerbated the ice build up. The bergs prevented Ross Sea currents from breaking up sea ice every year, as they normally would, instead allowing the ice to accumulate and thicken and forcing the birds to travel farther to reach open water. While the icebergs now appear to be breaking up, the numbers of breeding pairs of birds in those colonies, which already were experiencing some declines, have dropped dramatically in the past three years and, if the unusual conditions produced by the icebergs conditions persist, may cause the penguins to abandon those colonies completely. Scientists are debating whether the existence of the huge icebergs is due to a general warming of the climate in Antarctica or simply part of some other natural process in which pieces of ice break away—or "calve"—from the Ross and other ice shelves in the same way that human fingernails break off when they reach a certain length. But Emslie noted, paradoxically, even if the calving is due to warming, because the icebergs are causing a concentration of sea ice that could eventually cause an abandonment of penguin colonies, scientists in the future could interpret the abandonment as evidence of a cooling trend. "I think it's a good lesson for us," he said. "Although you might think this ecosystem is relatively simple, it's apparent that it's a lot more complex than it first appears."